When my daughter was little, she would ask me to read to her ALL.THE.TIME! And honestly, I didn’t mind a bit. I just love to read to my kids! I would read to her at nap time and bed time and so many other times during the day. One of her all time favorite books was The Rainbow Fish by Marcus Pfister. I kid you not, I have probably read this book to the kids five hundred times! And when the book was brought to life in an animated series, we could not get enough of it! 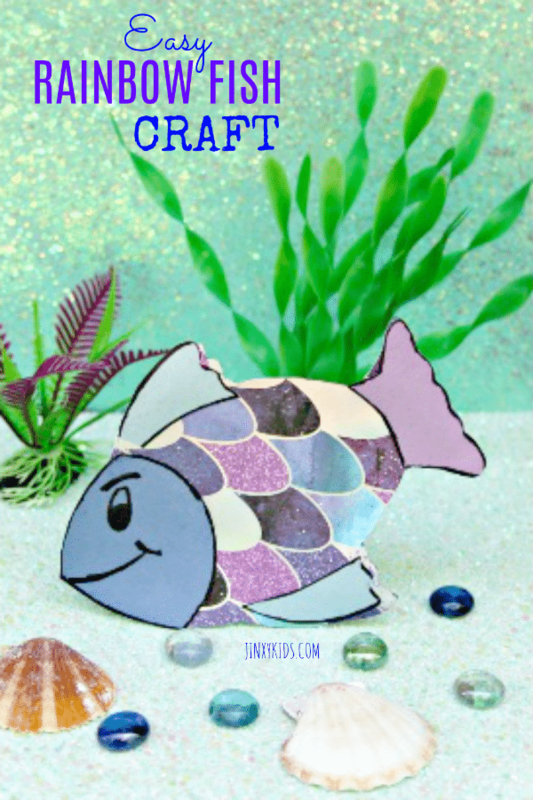 I thought it would be fun to share this cute and easy kids Rainbow Fish craft. It is one of our favorite crafts we have made! 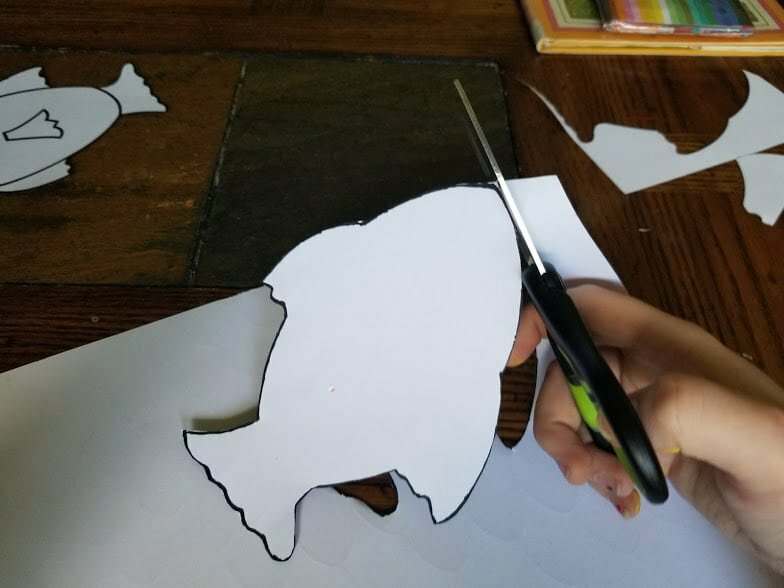 Step 1: Print your template and cut the fish out. 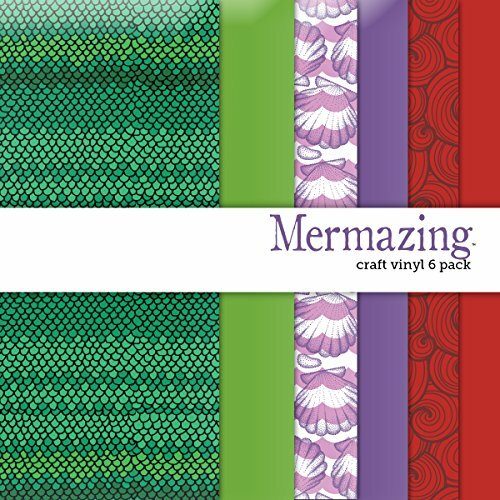 If you have the scrapbook paper with scales on it, trace the fish onto the back of the paper and cut it out. 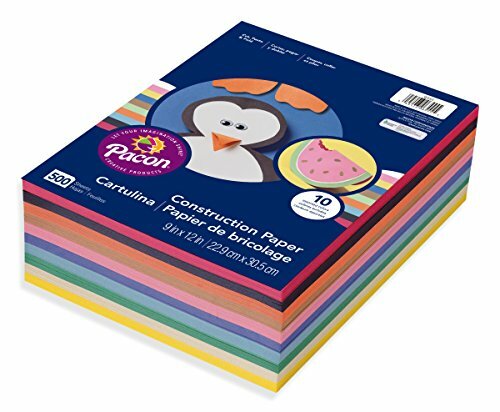 If you don’t have the scrapbook paper, choose a piece of construction paper and trace on that and cut it out. The younger kids may need an adult to help with this part! 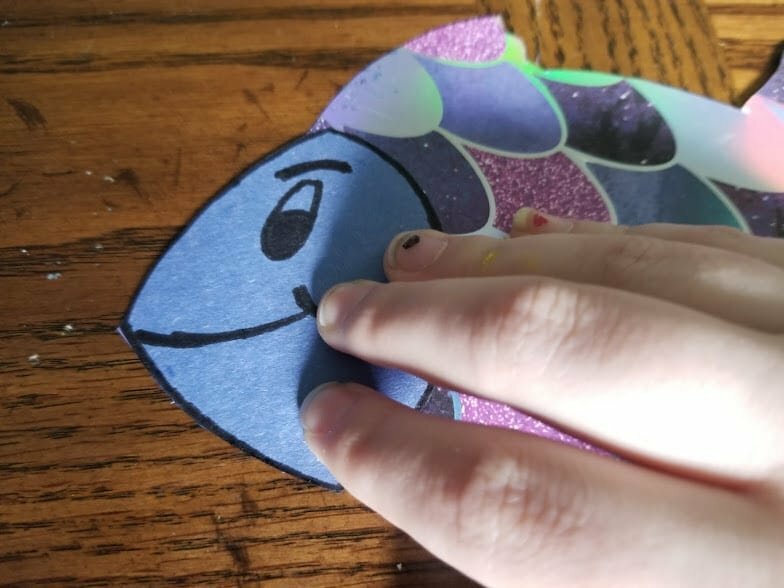 If you are using the construction paper, help the littles draw or color scales onto the body of the fish. 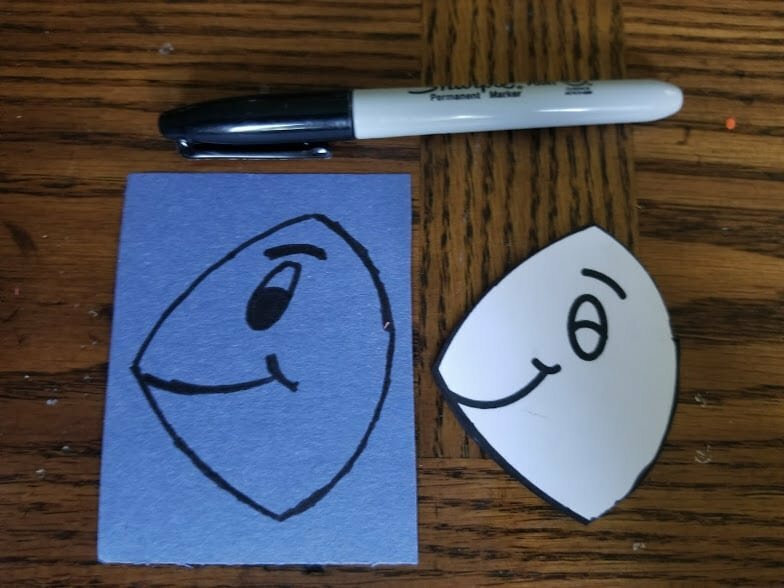 Step 2: Trace the fish head/face onto a piece of colored construction paper. 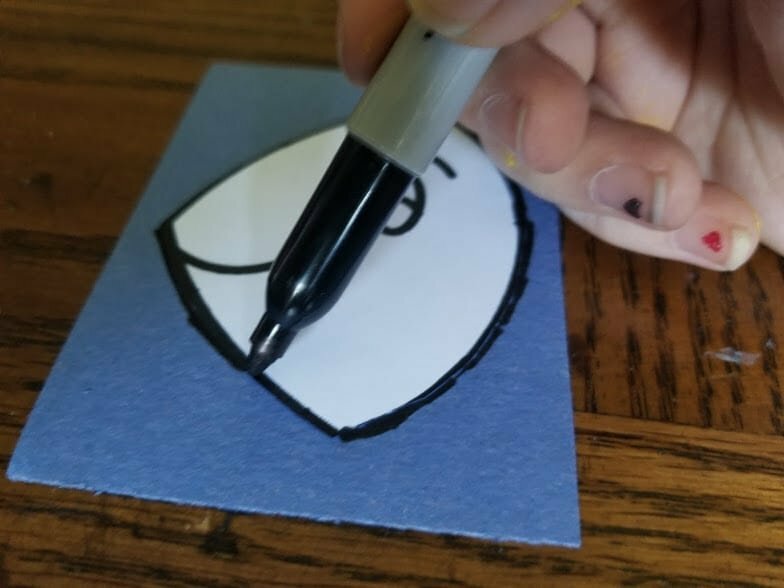 Step 3: Using a sharpie, draw the eyes and mouth. Repeat this step for the fins and tail. Step 4: Glue the head you traced onto your fish template. Repeat this step for the fins and tail. 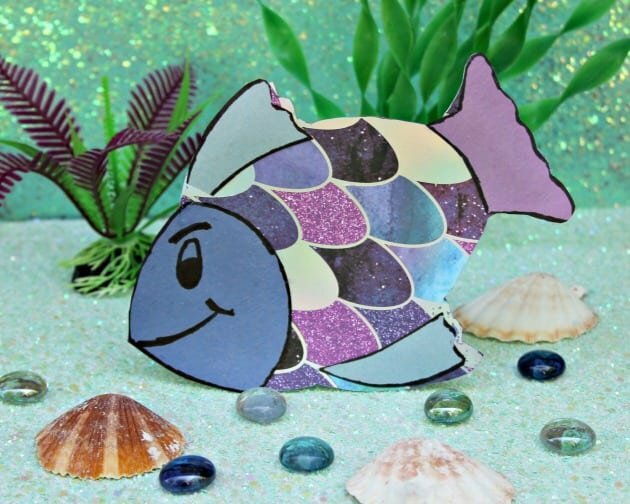 Now you are ready to share your beautiful Easy Kids Rainbow Fish Craft with everyone! If you re-create this craft yourself, we would love to hear about it in a comment. Have fun! I bet this is a wonderful book to read to kids. This looks like a fun craft idea. This craft project looks easy and fun to make. I don’t do many craft projects but I am going to have to try this sometime. 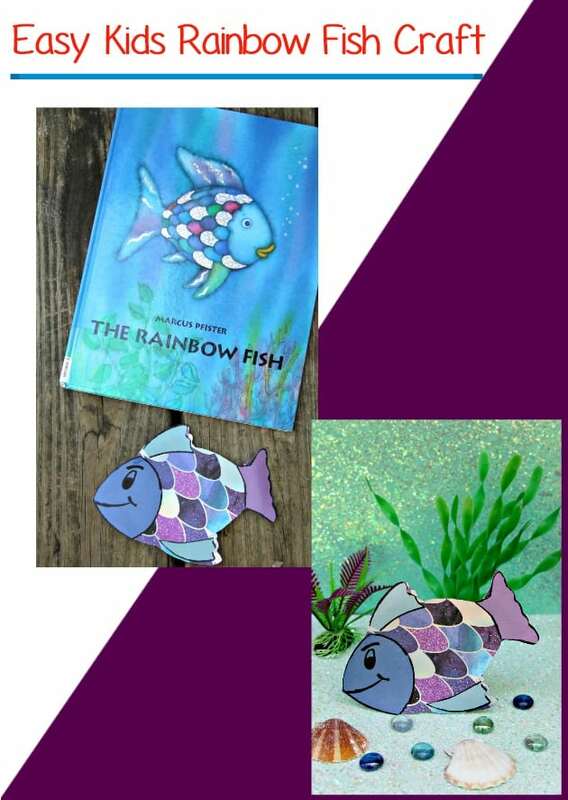 We love The Rainbow Fish and this is a great craft for those who might not be super crafty (that’s me) since it’s very easy to put together. This would make reading time fun. Thank you for the crafty idea. 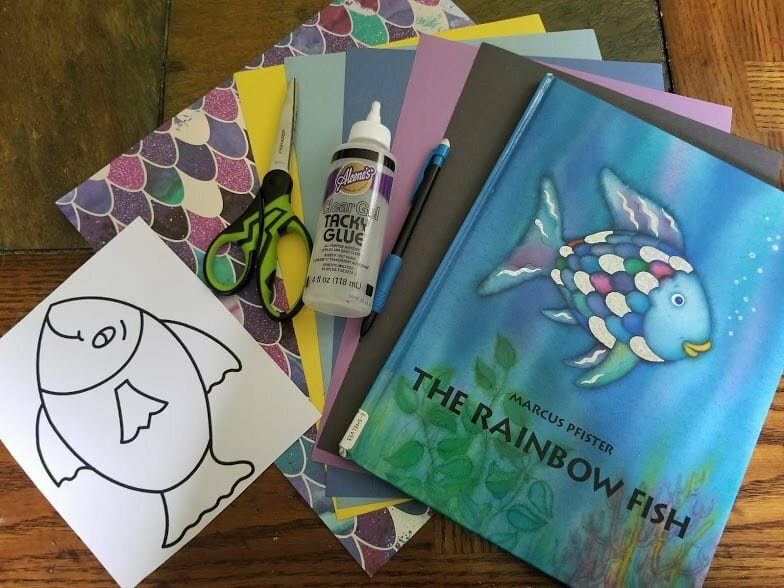 The Easy Rainbow Fish Craft is awesome! The grandkids are out of school for the summer and I would love to make a bunch of fish with them. Maybe even the summer camp with the church. You explained this craft step by step which makes it easier for me. Plus I pinned this for future fun crafting. Thank you for sharing! This is such a cute idea. Perfect for a rainy day! Love this book! Cute craft idea! I really like that colorful fish! The grandkids could make homemade Father’s or grandpa’s Day cards. I know my husband likes fishing. He would appreciate it. This looks easy to make so they won’t need any supervision. This is pin worthy! Thank you for sharing! I love this book and would love to do this craft with my nephew. Thank you for sharing this. Rainbow Fish is one of my favorite books. I can’t wait to do this with my grand. Thank you for sharing this. Rainbow Fish is one of my favorite books. I can’t wait to make this with my grand. My children have always love the Rainbow Fish as well. This will be a fun craft for us to make!